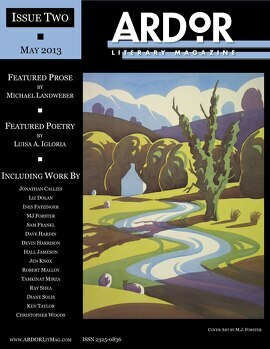 Congratulations to ARDOR's Issue Two Featured Poet Luisa A. Igloria! Her poem "The Loss and Recovery of Wings" (Issue 2, pg. 26) has been selected by A.E. Stallings for inclusion in the 2013 Best of the Net Anthology. It will be reprinted along with nineteen other poems and showcased for the next year on the Best of the Net website. It was our first year nominating work ... we're thrilled that Luisa's terrific poem was selected. You can read "The Loss and Recovery of Wings" online via our Featured Work page.